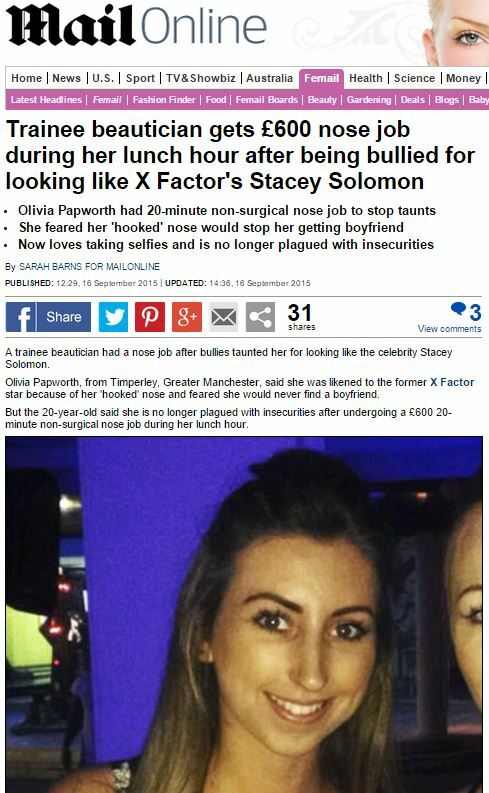 A trainee beautician had a nose job after bullies taunted her for looking like the celebrity Stacey Solomon. 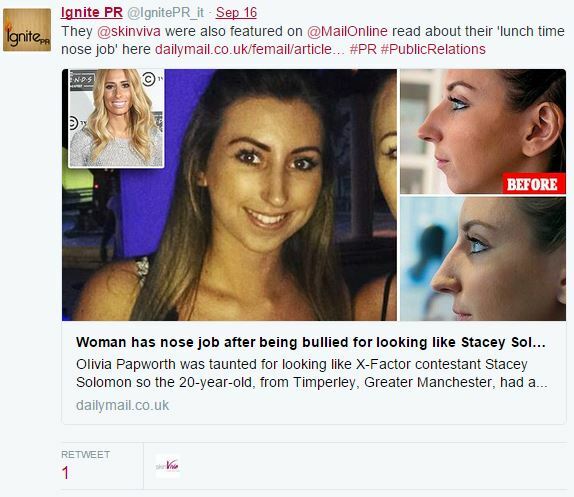 Olivia Papworth, from Timperley, Greater Manchester, said she was likened to the former X Factor star because of her ‘hooked’ nose and feared she would never find a boyfriend. But the 20-year-old said she is no longer plagued with insecurities after undergoing a £600 20-minute non-surgical nose job during her lunch hour. Olivia said she though her nose would stop her making friends or from finding a boyfriend who truly loved her for who she was. Doctor Tim Pearce, who carried-out Olivia’s procedure, said: ‘Olivia is a young, beautiful girl so it was such a shame that her nose affected her confidence. ‘As the nose is the centre of the face, it is very common for people of all ages to become very self-conscious if they are not happy with the size or shape of it. It’s fair to say that enticing people to have unnecessary surgery in order to get your client to appear in the newspapers is ethically dicey, at best – but this is the world of cosmetic surgery PR, where the potential impact of the hookline on the self esteem of readers and the perception of beauty matters far, far less than securing those quick-fix column inches. 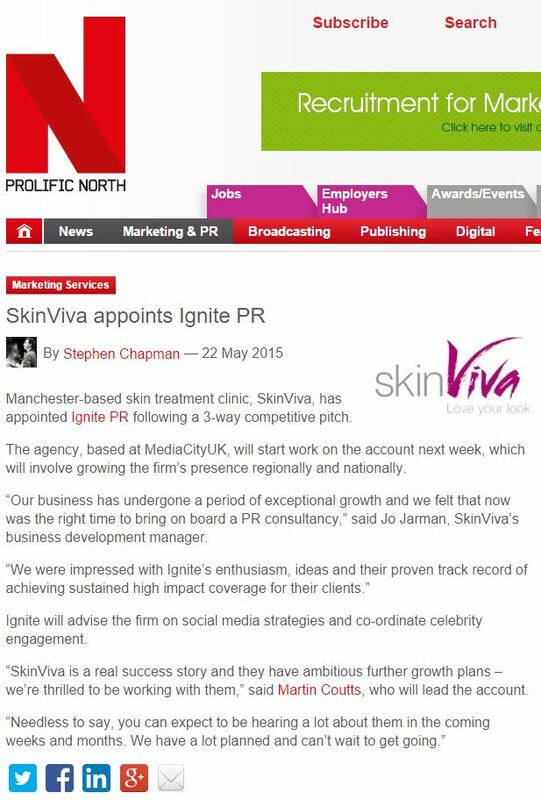 This entry was posted in Skinviva and tagged daily mail, Felix Allen, Ignite PR, Kirstie McCrum, mirror, Sarah Barns, Skinviva, sun, Tim Pearce on October 9, 2015 by Michael Marshall.